Do your goals for 2018 include learning something new? Do you have a passion for Health and Wellness? Are you craving a career change that includes helping others feel their best? 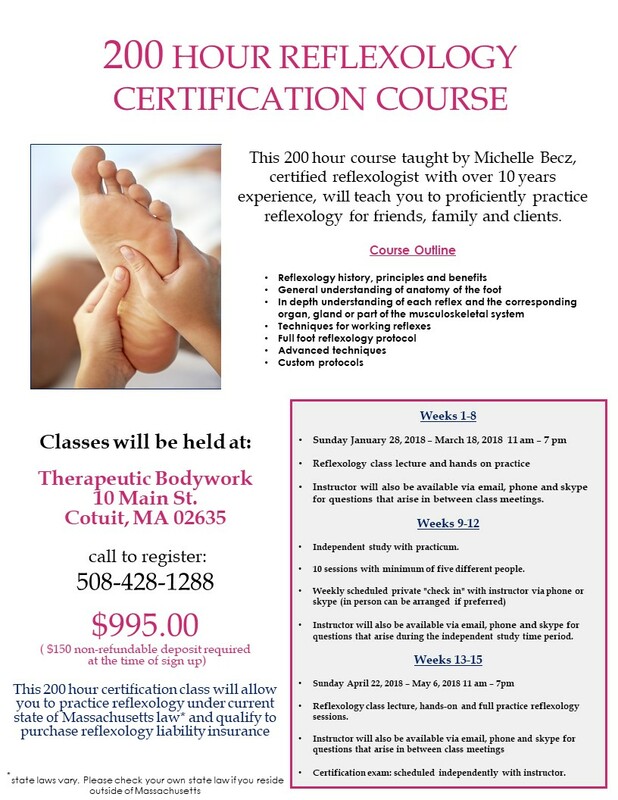 If you've answered yes to any of those questions, check out our 200 Hour Reflexology Certification Course. The class starts January 28th and there's still room for TWO more sign-ups.